Looking for the upcoming games 2018 will be giving us for the rest of the year? We’ve got you covered with the ultimate list below. E3 2017 brought a metric ton of new game announcements for upcoming games we’re expecting to see in 2018 and 2019 for the Xbox One, PS4, and PC, as well as the Nintendo Switch. Sony, Microsoft, and Nintendo already have some ridiculously good-looking games coming to their consoles this year, and this list of the best upcoming games of 2018 is loaded with PS4, Xbox One, and Switch exclusives. Of course, that’s good news for us, and we’re expecting big, big things for this year’s game release calendar. Soon, these highly anticipated upcoming games will begin hitting retailers around the nation. Here are the best upcoming games of 2018 we’re looking forward to most, with more information on each below. Share your most anticipated game of the year in the comments! **Update 10/08/18: A massive update/overhaul for the remainder of 2018. I think it’s safe to say that Forza Horizon 3 is the best racing game of the generation so far, which is really all you need to be excited for Forza Horizon 4, which is set to launch in October 2018. Microsoft absolutely hit it out of the park this E3, and quite possibly their most impressive title happens to be one we were expecting – a new Forza game. So, what makes Horizon 4 so great-looking? For one, it will run entirely at 60fps on Xbox One X — a first for the Horizon series. Secondly, there will be over 450 cars available in the game at launch. What’s more, Horizon 4 will take the series in a new, online-focused direction where the new game world — set in England, by the way — is filled with other human players. No, it isn’t an online only game, so you’re going to be able to play it solo offline if you so choose. But for those who want a more connected experience (like us here at Nerd Much? ), the fact that you’ll be able to seamlessly play with friends is an intriguing promise. And even more exciting is the fact that there will be seasons in the game, and each season will change how the game looks and plays. Ambient audio will also come into play here based on what season you’re currently in. 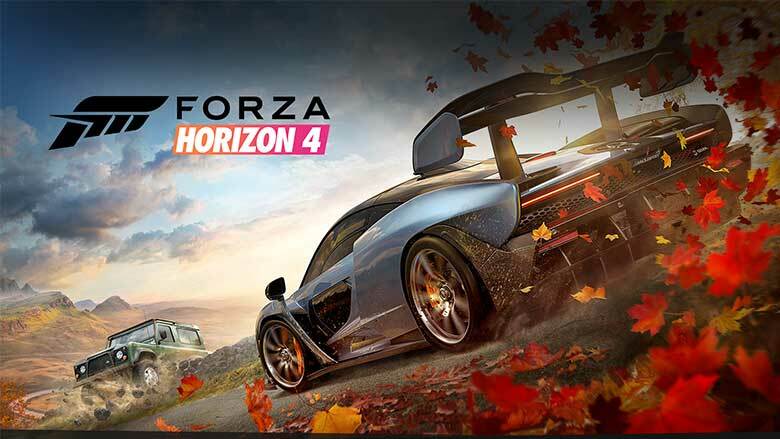 Also interesting is the fact that Horizon 4 will be cross-platform, meaning you’ll be able to play with your friends whether they’re on Xbox One or PC. It’s honestly rare for us to be THIS excited about just another racing game, but Forza Horizon 4 looks to be like an absolute gem, which is why it’s on our list of the most anticipated upcoming games 2018 will bring us later this year. *Update: See our Forza Horizon 4 Review here. Black Ops 4 is this year’s Call of Duty, and the recent reveal has us more excited than ever. Why? One word: Blackout. Blackout is going to be Call of Duty’s take on battle royale, and it looks fantastic. 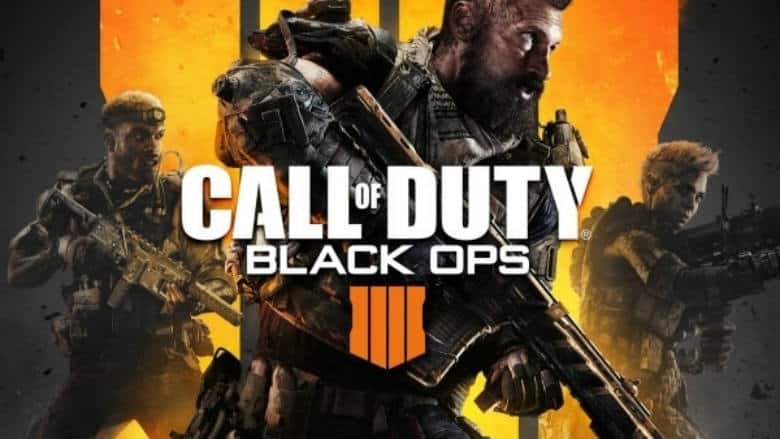 On top of Blackout, there’s also a heavy emphasis on Zombies, which will be much more substantial at launch than it has been in the past. We don’t think Blackout is actually going to launch with the rest of the game in October, but that could just be our skeptical side taking over. We’ll keep you posted. It won’t have a single player campaign at launch either, but we wouldn’t be surprised to see it as the final DLC. 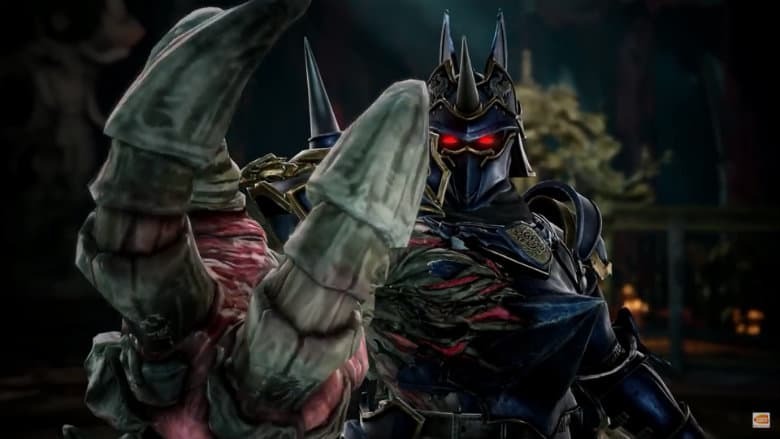 The next installment of the Soulcalibur franchise is releasing in just a couple of weeks, and most of the franchise’s longtime fans are excited about its release. The story trailer was absolutely badass, and definitely piqued our interests. This time around, the guest character is Geralt of Rivia from The Witcher franchise, which is being pretty well-received. This is definitely a big moment for the franchise and its release needs to go well if we want more, and things are currently working against Bandai for the upcoming release as the publisher announced that Tira will be a downloadable character and won’t be available at launch (which fans of the franchise find shady because Tira is one of the most requested characters). Bummer. Still, gameplay looks incredible, and hopefully, it can salvage 2018 for the fighting games genre. A major part of 2016 for gaming news journalists was sorting through Red Dead Redemption 2 rumors and leaks, as there were more than even we can count (and we’d like to think we can count pretty high). Finally, Rockstar blessed us with a Red Dead Redemption 2 teaser on the same day that the Switch was announced. Now, the floodgates are open and we’ve got a metric ton of RDR2 details over the past few weeks. As you’d expect from a Rockstar game, it’s going to be overloaded with content, including gangs to hunt down, animals to hunt, a major Red Dead Online component that’s going to be continually updated in the style of GTA V, and so much more. Although we’ll have to wait until November to jump online with our fellow cowboys, it sounds like there’s going to be plenty of content packed into the single-player game that we probably won’t even be done by the time RDR Online goes live. Red Dead Redemption 2 is one of the most anticipated upcoming open world games of 2018, and we can’t wait to get our hands on it. And being that it’s going to apparently be awhile for that other Walking Dead game to get a conclusion, what other options do you have? 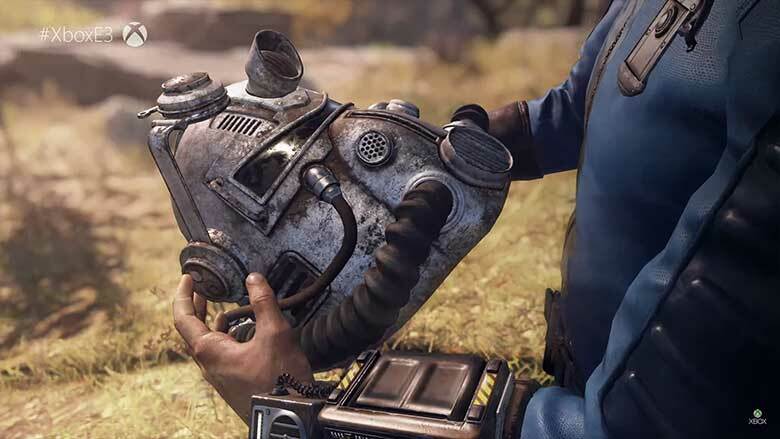 At first glance, we all thought Fallout 76 was just going to be more of the same thing we got from Fallout 4. But after its big E3 info dump, that’s clearly not even close to the case. In fact, for the first time in the famed series’ history, things will be taken online in an almost MMO-like fashion (although Todd Howard was quick to stress that there will be ‘dozens’ of other players, not hundreds or thousands). Still, having an online Fallout word is definitely enough to get fans excited. The game will be set in West Virginia and it will revolve around Vault 76, beginning on reclamation day. One of the things that were pointed out in the gameplay trailer was that the game will use new rendering and lighting technology that will provide “16 times” the detail as Fallout 4. What’s more, the world is 4x bigger than that of its predecessor. If you’ve been following Nerd Much? for quite some time, you might remember a little post I did a few years back around the release of Fallout 4 asking “Do We Really Want to Be Alone in the Wasteland?”. And, judging by the overwhelmingly positive response, it looks like the answer to that is no. In fact, Fallout 76 immediately became one of our top 3 most anticipated upcoming games of 2018 during its E3 2018 presentation. Let’s Go Eevee & Let’s Go Pikachu! To many, Let’s Go Eevee! & Let’s Go Pikachu! might feel like a stepping stone until the real Pokémon Switch RPG drops next year. But, let’s all take a moment to remember that it’s still a new Pokémon game. It will essentially blend classic Pokémon RPG-style gameplay with Pokémon Go style capturing, and there are numerous ways to play. In fact, there’s even an accessory sold separately, a Poké Ball Plus, which can be used with the game for capturing your Pokémon. You can also play with just a Joy-Con. On top of that, there’s a multiplayer component as well that will let you play with a friend. Admittedly, it does look a bit easy to play, but if you simply can’t wait until 2019 for a Pokémon Switch game, you might want to give Let’s Go! a go. The lack of fanfare and hoopla surrounding Battlefield V should be a bit concerning to EA. It feels like the upcoming next installment in the longstanding franchise is all but D.O.A., doesn’t it? The announcement was met with a mixed reaction at best, their Battle Royale mode (which we now know is officially called Firestorm) isn’t going to be available at launch, and there has been a serious lack of marketing on EA’s part in support of its launch…which is next month. The game is set during World War II this time around, and it’ll bring 64-player multiplayer along with it. Unfortunately, Firestorm doesn’t even have a date, with EA just noting that it’s coming “post launch”. Ugh. 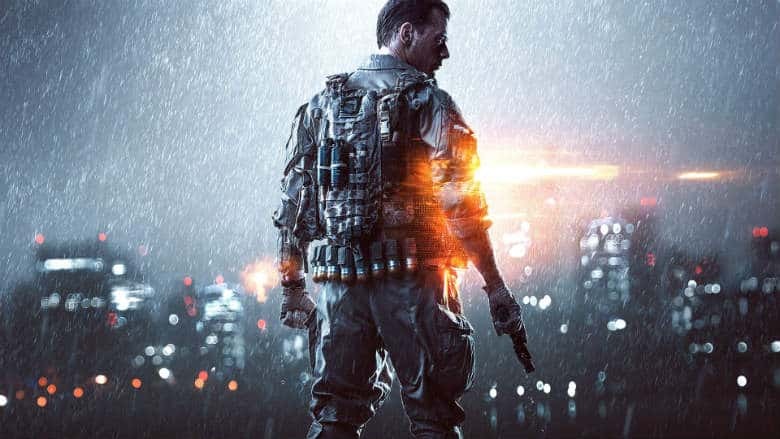 Personally, we’re always excited for a new Battlefield game here at Nerd Much?, and I know many of you reading this are, as well. Battlefield V looks good, sure, but it doesn’t look like it brings anything really new to the table, looking more like a Battlefield 1 expansion than anything else. We’re okay with that, because Battlefield 1 was incredible, which is why we’re still looking forward to the upcoming launch. After fearing the game would never be made due to THQ’s yard sale a few years ago, we had all lost hope regarding the future of the Darksiders franchise. However, it has recently been confirmed that Darksiders 3 is in development by Gunfire Games (they were the ones who developed the Deathinitive Edition of Darksiders 2. We already have a fair amount of details regarding the new Darksiders game, including the fact that it will actually star a female protagonist named Fury (who looks rather badass, we might add). She uses a cool-looking whip to slay those who stand before, and we can’t wait to find out what her journey will hold. Here’s to hoping it runs at a full 60fps. 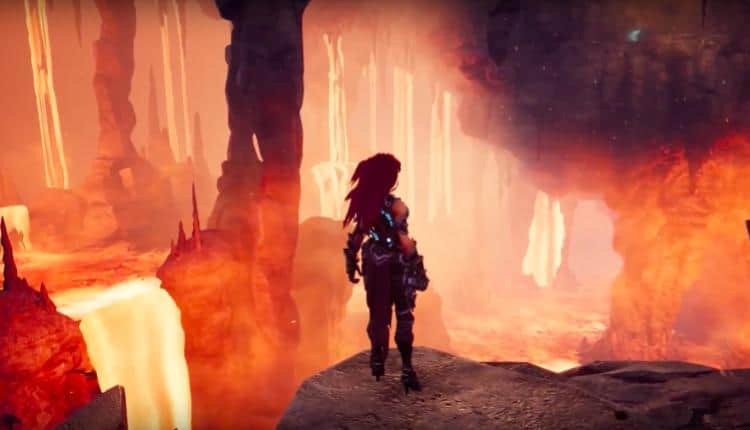 The gameplay we’ve seen so far looks like Darksiders 3 is a must-play, and we can’t wait to take Fury for a spin in November. Chaotic. Action-packed. That’s what you should expect from the Just Cause franchise at this point, and Just Cause 4 looks to take the action to the nth degree. It’s set in a mega-sized South American world that’s 100 square kilometers filled with rainforests and deserts and everything in between. The grapple hook has also been upgraded, so you’ll be able to do even crazier stuff than in Just Cause 3. The 4th game looks even better graphically, and it appears to run at a super smooth 60fps. Also, in Just Cause 4, you get your own wingsuit. Cool. The Switch is finally hitting its stride this year, and in December, we’re getting yet another game we’ve all been clamoring for on the Switch: Smash Bros.
Super Mash Bros. Ultimate truly is the ultimate game, bringing together every single Smash Bros. character from the past into one single game. If that’s not enough to sell you on it, I don’t know what would be! There will be new characters joining as well, including Daisy, the Inklings, and Ridley. What’s more, Castlevania’s Simon Belmont, King K. Rool, Chrom, Isabelle from Animal Crossing, and Dark Smaus will all be playable. There will also be 103 stages, and there will be MANY fan favorites returning (including Peach’s Castle!!). What upcoming games are you looking forward to most? Sound off in the comments below.